Stephen Scullion tries to make sense of the IAAF’s dual qualification system for the next Olympic Games. What the fart just happened to the Olympics. F*ck me, what a seven days or more it’s been, my poor little brain hasn’t been able to rest since IAAF released the new standards and qualification process, to make Tokyo 2020. Given that Tokyo 2020 and becoming an Olympian was right at the top of my priority list, over EVERYTHING else, it’s been a raining sh*t storm of scheming in the last 7-10 days. – Maybe I should bypass World Champs in favour of a faster or better points race. – Maybe I should enter a marathon right now, LONDON how many weeks away? 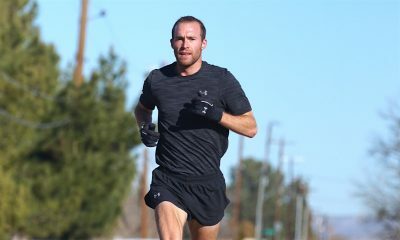 – Maybe I should start racing marathons back to back, Berlin, Dublin, Valencia. – F*ck this, I’m running World Champs. – But Dublin is a far better points scenario – (Researches points opportunities in all IAAF marathons). – Predicts points I can make in the next 16 months. – World Champs is out. – Googles weather in Doha for the month of October – World Champs is 100% out. – Who in their right mind, missing an opportunity at World Champs in favour of National Champs. – World Champs is back in. – Maybe I should race the Belfast Marathon because I want to. – Be amazing to win Belfast. That’s not even close to the back / fourth my brain has been going round and round, for the previous seven days, researching as much as I can, reading what others have researched… bla bla bla. 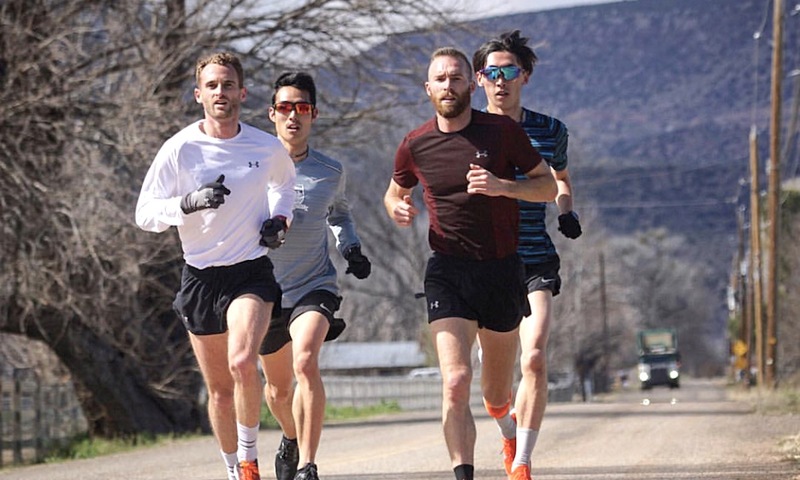 One thing is certain, improving your fitness and ability to race a marathon faster than you’ve ever done before, “WILL NOT HINDER” your chances of being an Olympian in 2020. It’s a shame all this happened in such a short period of time, I’ve been documenting my journey for well over three months now, and until seven days ago, I assumed my 2:14:34 at Houston marathon would be good enough to make the Olympics, (The only scenario were I thought it wouldn’t) is if three Irish people ran faster. The 1080 points, I scored at Houston for 2:14:34, won’t be good enough unless it’s combined with perhaps 1130-40 points, and that might bring my average to around 1110, a score I predict will be good enough for the Olympics. 1130 = 2:14:23 “WIN National Champs” – Given Dublin marathon is probably 90 seconds – two minutes at least, slower than a Berlin, or a Houston Marathon. That’s basically 2:12:30. For those assuming they can go to their National Champs and bank big points / become an Olympian… WRONG, you need two scoring results.. so even if you run well at your National Champs, (first of all), only one athlete can bank the “45” bonus points… that athlete will then need to run probably around 2:13:30 elsewhere, unless they run sub 2:14:30 at Dublin, “Given I’m the fastest Irish marathon runner in nine years, on a pancake flat course, I can’t see that happening. “Seems highly unlikely” it’s more likely the athlete who wins the Irish National Champs will run 2:15:00 or around that, 1120 points “Including 45 bonus points” – That athlete could still be me, if I recover well from Doha. “That’s the scenario the IAAF” is putting Irish athletes in, either miss World Champs, or try to recover in three weeks and use National Champs as an opportunity to gain some bonus points”. Now the National Champ has 1120 points, second place in 2:15:01 “Sprint finish” has 1110, the National Champ will need to go somewhere and get 1100 points… 2:13:31, or 62:16. The athlete in second at the National Champs will need 1110, 2:12:56, or 62.01. The only evidence that suggests 1110 is needed to make the Olympics is based on current rankings. YOU NEED TWO scoring events to be ranked – **Hence why Ann-Marie McGlynn is not currently ranked** even though her 72.00 at Barcelona is worth 1099 points, and probably bonus points on top of that, as Barcelona half marathon is a GOLD label, “10 bonus points” 1109” That puts Ann-Marie in a great position to make Tokyo 2020 – 80th place in the women’s right now is 1106. But remember what I said above, if athletes who aren’t ranked, hit an entry requirement then it may means only 65 athletes will go to the Olympics from the ranking system (Therefore you will need to be ranked top 65, unless other athletes choose not to go, or their federation does not choose to select them… more on this below), and 15 will be put forward because of entry standards… “2:11:30, or 2:29:30, top five at gold label marathon, top 10 at World Champs, top 10 at marathon majors etc”. So as you can see, the system is pretty difficult to predict, and there has not really been a precedence for this, and so nobody can actually predict what might happen (can I just add those arguing the points system is easier than before, better, or whatever, AREN’T the athletes out there trying to work this out, nor are they even trying to make the Olympics). How many points will make each event etc… Imagine the sh*t storm in say the men’s 1500m, I would guess at least 15 athletes will qualify via an entry standard, 3:35.00 but not be in the rankings, because they might not race five “scoring” events… so if you’re a 1500m runner, how on earth will you keep track of who’s ranked, who’s not, who might not want to go in the 1500m, etc…” I also have no clue how this scenario will work, first of all, the IAAF will release those eligible via the rankings on June 1st. I’m now ranked 63rd… and technically, I’m in a quota “top 80” position (Remember 80 spots available, but 15 spots were allocated from athletes who hit entry standards but weren’t ranked, at what point does this new list get released… i.e. a list of athletes who weren’t eligible in the first rankings, but are now eligible because the USA only sent one, Sweden didn’t send anybody etc… “AGAIN” This will happen… According to the official documents 2-5th July – IAAF will reallocate all unused quota places… For F*ck sake, that’s four weeks out from an Olympic marathon in TOKYO 40+ degrees Celsius, and with that, it ruins the Olympics. THAT WILL happen, it’s fact, the original released list of qualified athletes couldn’t possibly factor in “countries who don’t plan to use points” athletes who perhaps qualified in two events… and won’t choose the marathon etc… It’s a sh*t show. So that’s where I’m at, like I said above, I WILL NOT be missing the World Championships in favour of “points”, it goes against everything I believe in, going down that route is giving up on being the best athlete I can possibly be, in favour of trying to squeeze my way into an Olympic marathon field via bonus points… That’s not me, and I don’t want the future of my career to take shape like that. – Maybe I can fly to China and find a marathon only 5-6 people run fast at “BONUS points”. Maybe I can train more, get faster, and become an Olympian because I’m a better / faster and more consistent marathon runner. I hope the above materializes, and I hope under this new system no matter what happens, if I improve my personal best, and run 2:13**, or 2:12** I hope I become an Olympian. So the above is all a bit confusing and it was supposed to be because that’s how confusing the IAAF has made this… Unless you run 2:11:30, or you hit enough points you’re sitting in the top 60 (maybe) in the rankings system… I think your preparation will be far from ideal for the Olympics… You still might get selected, which is great, but if you don’t get selected and you’ve pumped 3000 quid into an altitude and hot weather camp… well sh*t happens I guess. 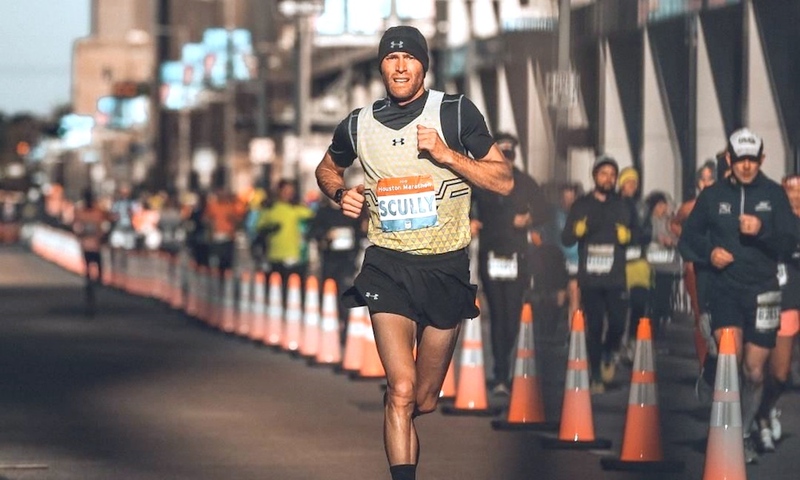 Anyway, I’m going for a run, because that’s about the only thing I’m sure of right now… More training will help my position in all this bullsh*t.
Apologies for swearing, I love you all, sorry this was a lot of rambling… Love Scullion.